Fundraising: YOU KNOW IT MAKES CENTS! St George’s will once again be participating, with two teams, in the Relais pour la Vie 2019 organised by the Fondation Cancer. 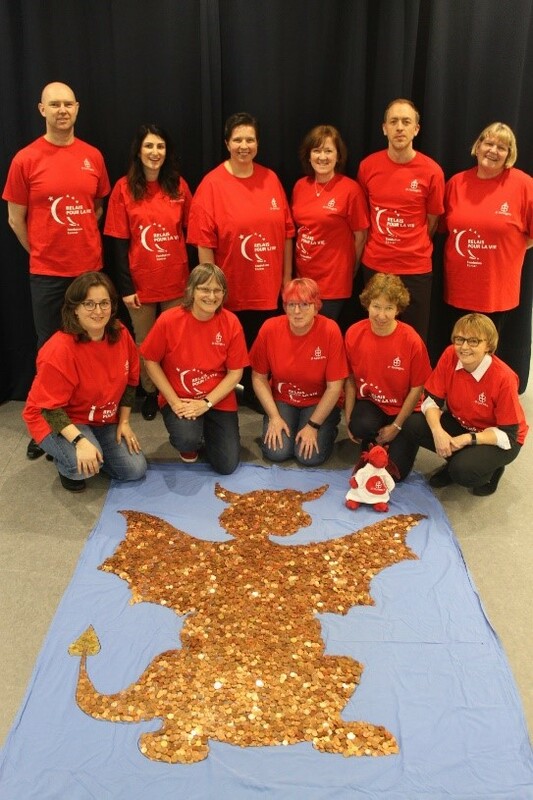 As part of the fundraising activities for this event we hope to again collect small denomination coins to create a beautiful metal dragon. Please help get this project underway by donating 1,2 and 5 cents coins. You can place your contributions in the collecting jar in the reception area. To find our team pages click on “Trophées de l’Espoir” followed by “Récoltes de fonds 2019”. You can then put “George’s” into the search function and find our teams.